Happy family – this is probably the most common type of customers both in charter business in general and on a skippered yacht. 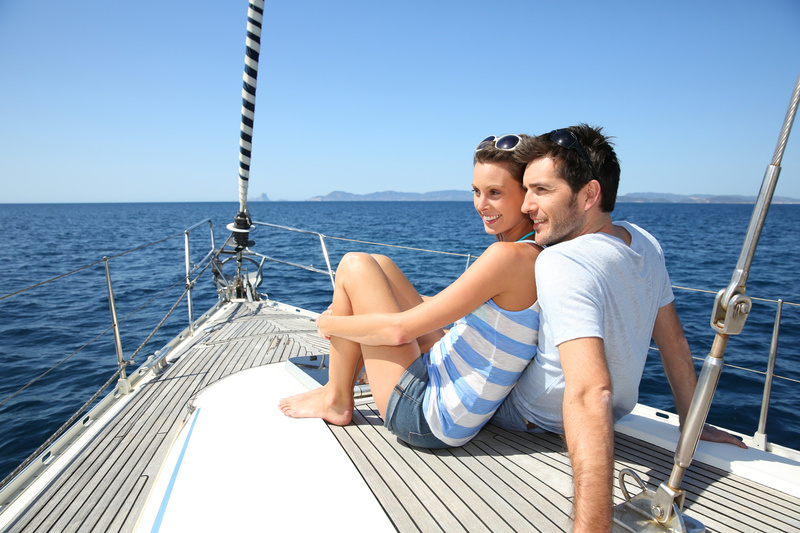 Prevailing type of family is one that has never been on a yacht before and wants to experience something new. Skippers have to be very patient and careful with this type of customers because they have to deal with the difference between what the customers have in their mind and what sailing holidays really are. Furthermore, parents very often want to relax completely so skipper has to deal with their kids. On the other hand, skipper sometimes has to play his role in manner not to jeopardize the authority of the head of the family (regardless of is it he or she…). Everlasting party – customers of this type are usually youngsters who just want to have fun. They are most often foreigners who just finished their studies and want to spend summer partying before they face the world of job obligations. They usually do not care much about the virtue of sailing and romance. They are interested in beach parties, cocktail bars, party towns and nightlife. Unfortunately, they miss a lot of beautiful coves, bays and beaches during the daylight because they are usually too hangover… Skipper has to take an extra care because of the results of liquor consumption. Seltzers and anti-hangover medications would make the skipper the hero of the week! Learners – this type of customers could consist of both the first or second group mentioned above. They are people who have no previous sailing experience but would like to learn sailing skills and try to sail on their own one day. It this situation skipper is both their guide and instructor. It is crucial to gain right ration between the school and holidays. We left our wives behind – or a classic bachelors’ party regardless of the custormers’ age. Sometimes it is really about a group of guys who decided to have a party-week without their wives or girlfriends, before or after their wedding ceremony. They share a lot of behavior with the group described under number 3 of this list. We left our husbands behind – a group of girls or ladies who decided to take a break of their relationships and spend a week aboard a sailing yacht. Skippers very often face problems with team spirit when the group divides into those who would like to spend ‘a week of freedom’ partying and devastating cocktail bars; and those who finally found some time to take a break of their monotonous everyday life and wish for ‘a calm, quiet and tranquil week’. Eternal skeptics – they also belong to first two groups mentioned above but their attitude makes the basic difference from all other customers. Firstly, they hire a skipper because they are not confident enough in their sailing skills but they represent themselves as experienced ones. Secondly, they doubt in literally anything skipper says because they always think that skipper’s task is to double-cross them. Again, they almost inevitably read various guidebooks checking everything skipper says, including routes and distances, etc. I don’t blame such customers for distrust because I am aware that lots of bad skippers operate all over the place and some people have such an attitude for a good reason – bad experience. However, experienced skipper would recognize such people and avoid unpleasant situations by his/her friendly and trustful attitude. Your thniikng matches mine – great minds think alike!